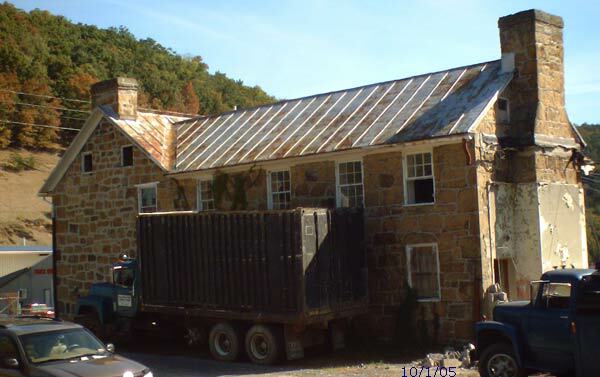 We are please to salute our friends in Mineral County who with the generosity of a friend have been able to purchase the old Stone House on Rt. 50 just west of Burlington and begin its restoration. 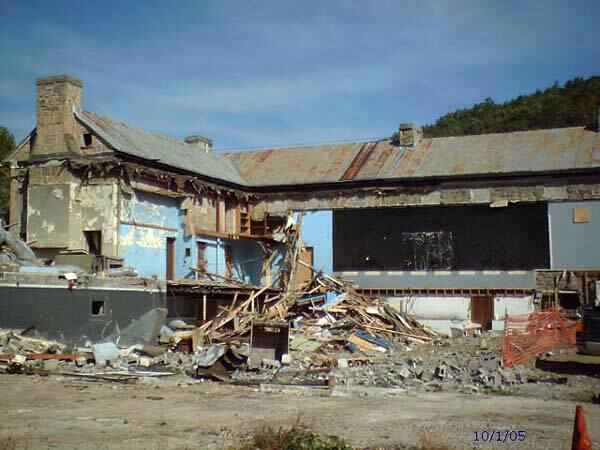 At the moment we do not have a history of the house but put here some photos to show the present situation of the house and the initial work of removing the modern addition that was put on to provide a kitchen and extra rooms for the last use as a restaurant. 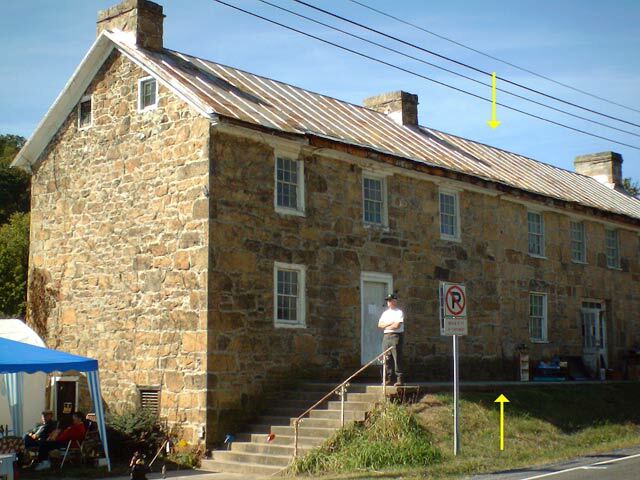 The yellow arrows point to the joint between the two separate parts of the original building. We believe the part on the left is the oldest section. Unfortunately, our photos do not do justice to the stone work. It is a beautiful, colorful display of nature's beauty and man's artistic ability. 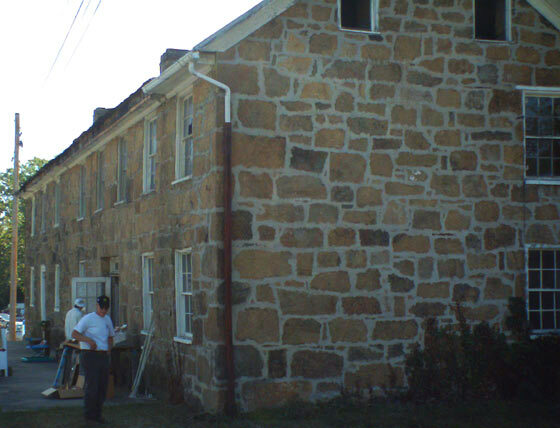 Removing the modern additions is a major task. 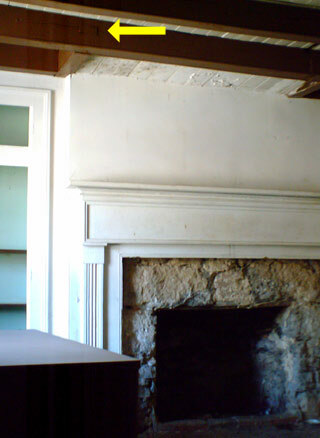 However, the work should reveal much of the original character of the house. The inside of the house is not well lighted, so our pictures do not do it justice. The arrow points out the mortise & tenon of the room's ceiling joists. 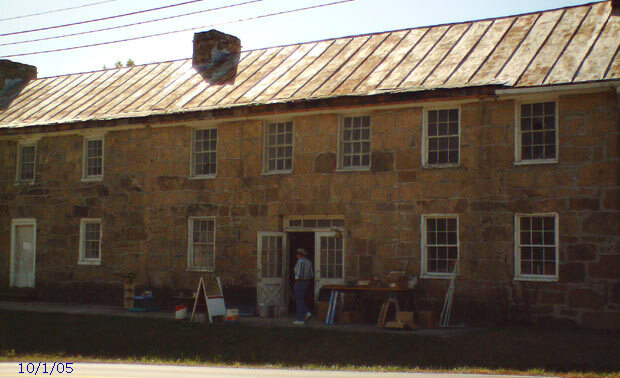 The Historical Society hopes to have the house open for its Christmas season tour. Box 1325, Keyser, WV 26726.